Looking up the night sky dome on the first day of the Winter Solstice Dec 22 when the Sun enters Capricorn ‘I’m trying to figure out how ‘the sun will stand still’ as observed by ancient astronomers during the first three days prior to December 25 , before it would begin to move direction again. Many cultures around the world before the Christian period celebrated the winter solstice for thousand of years as celebration of light and rebirth of the sun. The word solstice is derived from the Latin sol-stice means ‘sun standing still’ , because at the solstices, the Sun stands still in declination; that is, the seasonal movement of the Sun’s path (as seen from Earth) comes to a stop before reversing direction. As the days grow shorter in the period leading up to the winter solstice, the sun appears to stop moving south and stay still for three days on Dec 22nd, 23rd and 24th in the northern hemisphere. To our ancestors this period symbolised the death of the sun god and when three days later on the 25th December the sun started moving again, the sun was reborn and begin its growth which will achieve fullness at the Summer Solstice. To acknowledge the birth of the new sun, celebration is widely observed relating to God’s salvation of mankind under the name of Jesus during the Christian era, and other names Horus, Osiris, Mithra, Dionysus in other period preceding it. The period when the sun stands still was perceived as three days, also said to be the time when the solar hero was “in the tomb,” to be reborn or resurrected. The three-day solstitial period typically began at midnight on December 21st and ended at midnight on December 24th, when the sun stopped standing still and began moving again, from a geocentric perspective in the northern hemisphere. Thus, it was said that the sun of God was born on “Christmas Eve,” just after midnight on December 24th, the morning of the 25th. This date, therefore, was perceived as part of the winter solstice, the moment of birth of the new sun. The Bible tells us that the brightest of all the fixed stars is Sirius. Known to astronomers as Alpha Canis Major, it is the principal star of the constellation Canis Major (the Big Dog). 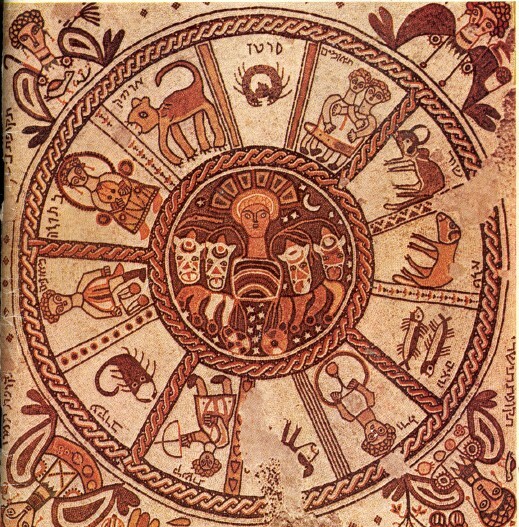 The ancient Egyptians called it Septit, the Hebrews knew it as Sihor, to the Greeks as Sothis and also as the “the Dog Star” that followed Orion the Hunter. Three wise men came from the east, following a star that led them to Bethlehem to celebrate the birth of Jesus the Messiah. Ancient text claims that the star in the east was Sirius, the brightest star in the sky, which on December 24th aligns with the three brightest stars in the constellation of Orion. The stars were referred to by many ancient cultures as the Three Kings. When Sirius lined up with the Three Kings, they pointed to the place of sunrise on December 25th – the symbolic birth place of the sun or son. Hence, the “Star in the East” heralded the birth of the Egyptian Messiah thousands of years before the Christian era. “Sothis (spdt ‘Sharp’). The morning star, Sirius, seen by the Egyptians as a goddess. In Egypt the star disappears below the horizon once a year for a period of some seventy days; its reappearance in midsummer marked the beginning of the annual inundation and the Egyptian year. The star’s rising was also seen as a harbinger of the sunrise and therefore associated with Horus in his solar aspect. The bright star Sirius rose with the sun at the summer solstice, signaling the birth of Osiris as the Nile inundation and the birth of Horus as the daily solar orb. In winter, the Three Kings in the belt of Orion pointed to Sirius at night before the annual birth of the sun, which is also Horus. The appearance of the three stars in a line with Sirius occurred in the night sky over Egypt thousands of years ago, pointing to the horizon as the new sun was born at the winter solstice. Christmas is the Christian version of a very ancient festival celebrating light and the sun’s “birth,” as the hours of daylight increase following the winter solstice. “.. it is He Who is the Lord of Sirius.” (Qur’an, 53: 49). the Arabic word “shiaara,” is the equivalent of the star Sirius, that appears only in Surat an-Najm. This glittering star Sirius reaches its highest point or meridian height on the sky at midnight hour on January 1 in Cancer , the Sun is opposite in Capricorn. So, earth crosses the line connecting the two brightest stars on the day mark as the New year.